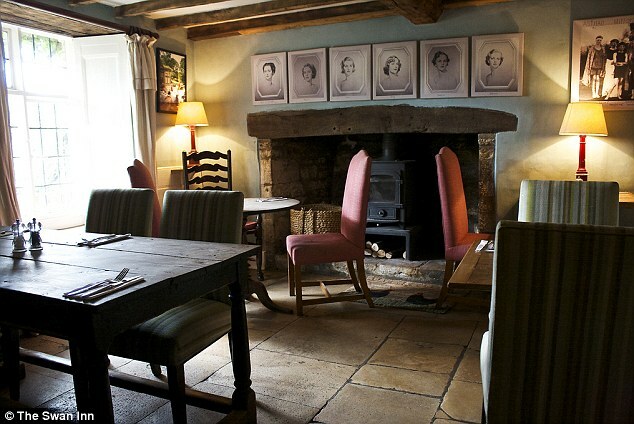 Is this the UK’s poshest pub? 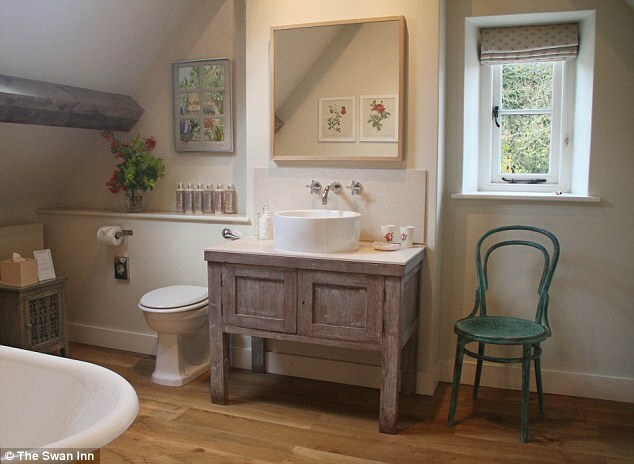 Inside the Dowager Duchess of Devonshire’s boutique inn where the beer is artisan, the soap is handmade and the landlady is a blue blood. 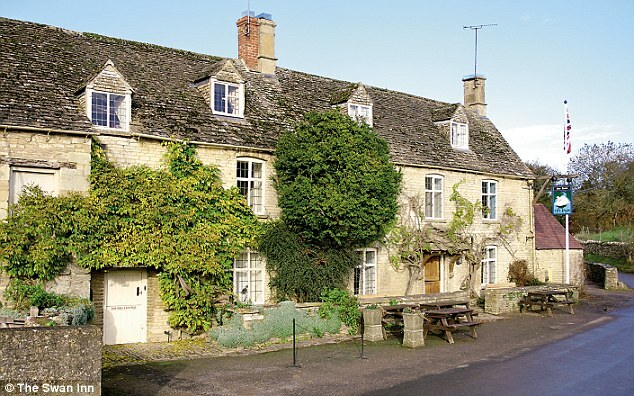 From the outside, The Swan Inn at Swinbrook in the Cotswolds is a classic country pub, complete with pretty honey-stone brickwork and festooned with wisteria. Inside, however, it’s a different story. 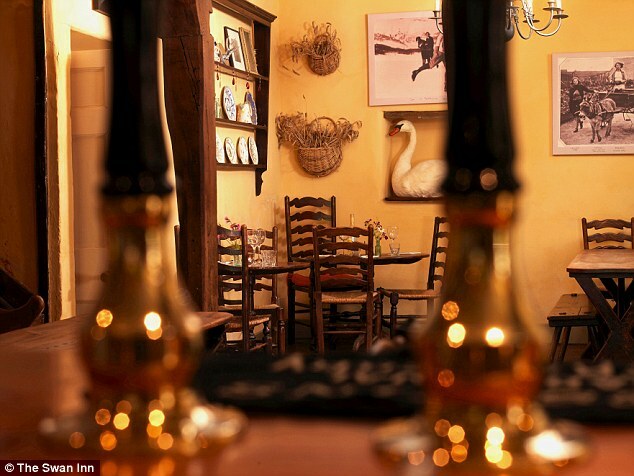 Owned by the Dowager Duchess of Devonshire, the last of the Mitford sisters, The Swan Inn is a public house with a decidedly aristocratic pedigree. 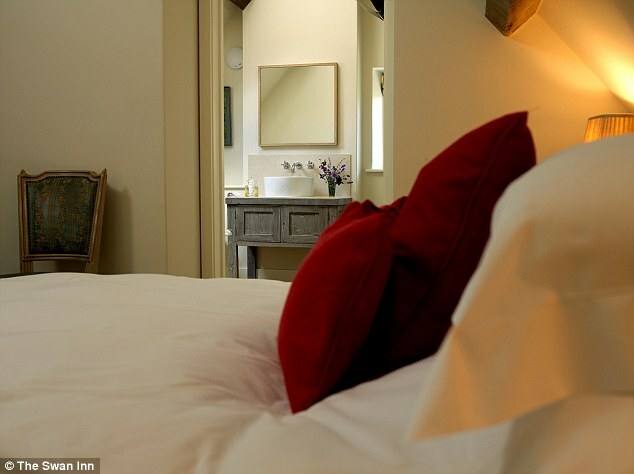 Newly refurbished, the pub boasts river views, 11 luxury bedrooms and a restaurant that serves up freshly cooked seasonal food. 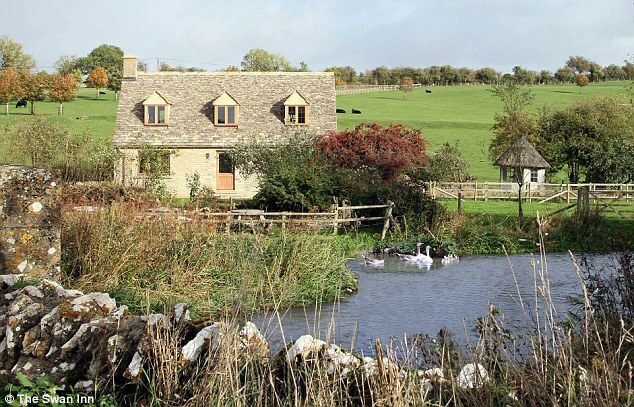 ‘We are thrilled with our beautiful, new, cozy Riverside bedrooms and really can’t think of a more beautiful location in The Cotswolds,’ says Nicola Orr-Ewing, who runs the inn on behalf of the Dowager Duchess with her husband Archie. ‘It has been a privilege to work with the Dowager Duchess of Devonshire on this historical Inn in her childhood village of Swinbrook. 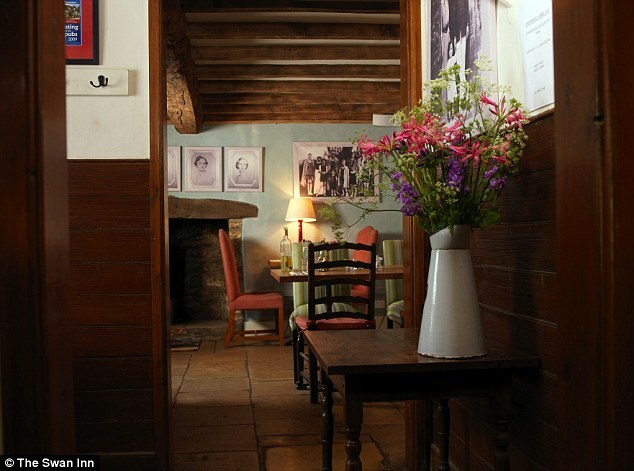 Although the Dowager Duchess, now 93, is an infrequent visitor to the pub, her influence can be seen in the dining room, run by Head Chef Matt Laughton, which is packed with Mitford memorabilia, including photos of the Dowager Duchess and her sisters, Nancy, Pamela, Diana, Unity and Jessica. 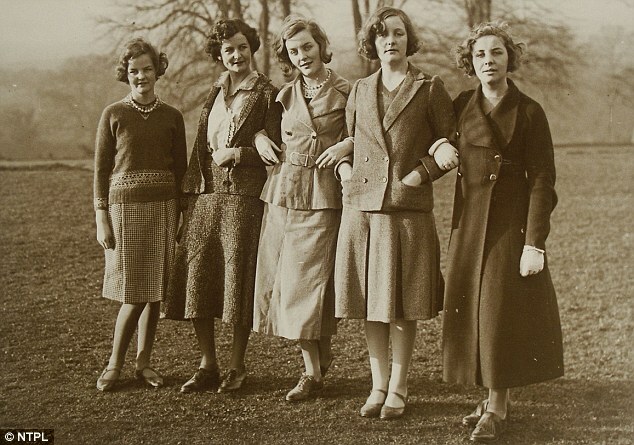 The Dowager Duchess, born Deborah Mitford, is the youngest of the six Mitford sisters, who became famous in the 1930s and 40s for their glittering marriages and frequently controversial political views. Most notorious of the six were Diana and Unity, both of whom became close to Adolf Hitler in the years leading up to World War II. By contrast, their sister Jessica was a committed Communist and later moved to the USA with her husband Esmond Romily where she became a civil rights activist and political campaigner. Nancy, the eldest, although a moderate socialist, focused her efforts on a writing career and penned Love in a Cold Climate and The Pursuit of Love among other novels. 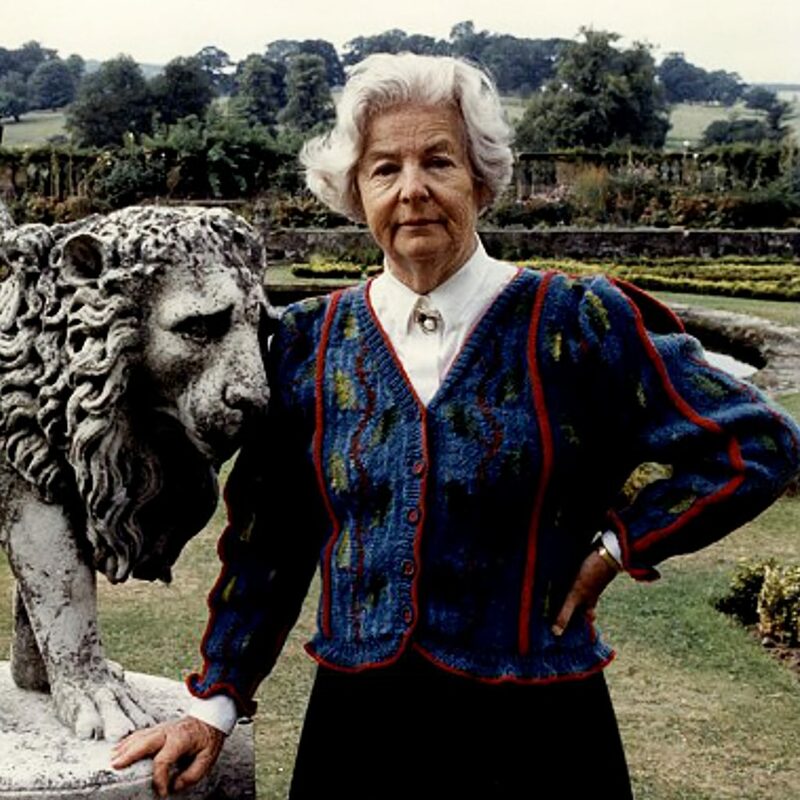 The Duchess of Devonshire also has books to her name, but chose to focus on local history instead. 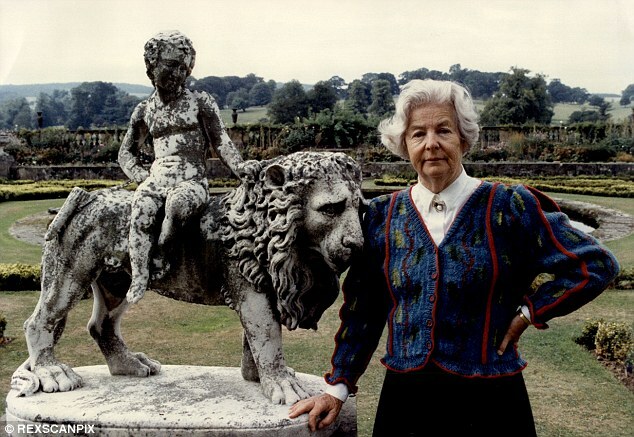 Many of her works focus on the Devonshire’s family seat, Chatsworth in Derbyshire, and include a cookery book and a gardening tome, as well as a memoir that shed light on her life as the youngest member of a notorious family. Original article can be found here. With thanks to the Daily Mail.